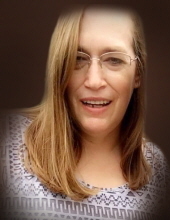 Karen B. Raynor, (nee Kelling) age 48, passed away unexpectedly on Saturday, September 8, 2018. She was born in Cambridge, MN on September 11, 1969 to parents, Kenneth and Ada (Dahlin) Kelling. Karen was united in marriage on September 17, 1994 to Henry Raynor, Jr. She worked at Walmart in Hartford and West Bend. Karen loved to do anything that involved being with her family. She was a person that people went to for love and support, and she was passionate about everything she did. She has multiple collections, that her family added to at every chance they got. She collected spoons, bells, and just recently started to collect knick-knacks as well. She loved to go disc golfing with her husband, Henry, and her youngest son, Nicholas. Karen is survived by her husband Henry; four children, Amanda, Ryan, Kristopher and Nicholas; father, Kenneth; brother, Robert (Janine) Kelling; sister, Gail Massie; nieces, Jazmin and Jade Massie; great-niece, Zaylee; also survived by friends and extended family. She is preceded in death by her mother, Ada. Memorial Service for Karen will be held at First United Methodist Church, 738 Monroe Ave, Hartford on Thursday, September 20 at 1:00 PM with Rev. Stephanie Taylor presiding. Visitation for family and friends from 11:00 AM until the time of service. Continued gathering and fellowship with light snacks will follow the service at the Church. To send flowers or a remembrance gift to the family of Karen B. Raynor, please visit our Tribute Store. "Email Address" would like to share the life celebration of Karen B. Raynor. Click on the "link" to go to share a favorite memory or leave a condolence message for the family.